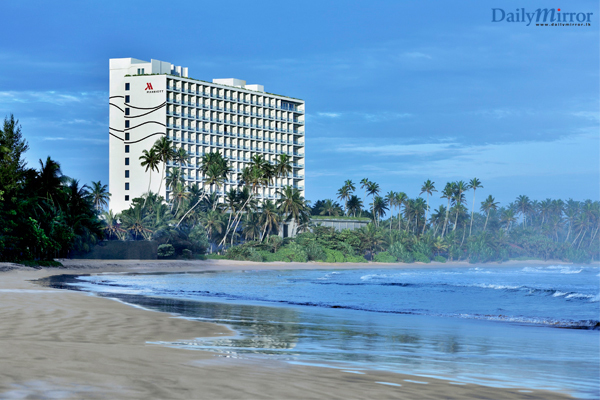 Marriott Hotels, the iconic flagship brand of Marriott International, announced the opening of Weligama Bay Marriott Resort & Spa, marking Marriott International’s first hotel in enigmatic Sri Lanka. Sri Lanka is fast becoming a top tourist destination given its dramatic landscape ranging from an impressive eight UNESCO World heritage sites dotting the compact island country that vastly ranges from dramatic mountains in the North to picturesque white-sand beaches ideal for water sports lovers and sun-worshippers. Weligama Bay Marriott Resort & Spa is situated to the South of the country in Weligama, a charming seaside fishing village famous for its charming local fishing community and world-renowned surf breaks. Guests can take in the sweeping beachfront views throughout the hotel, as well as from the privacy of their room or suite. 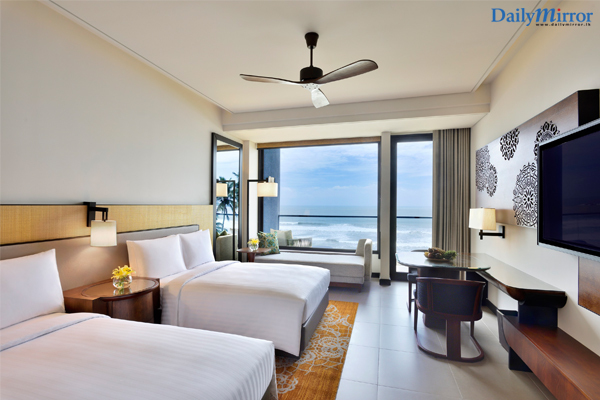 The innovative hotel offers more than 200 well-designed, modern rooms and suites boasting private balconies that look out onto breathtaking views of Weligama Bay. Given its prized beachfront location, it’s also an ideal hotel to host a special occasion. The resort boasts 3,360sqm of combined outdoor and indoor meeting spaces that includes a creative banquet space that can host up to 500 guests, making it the ideal location for themed weddings and socials events. “The Weligama Bay Marriott Resort & Spa was thoughtfully researched and crafted to appeal to the changing lifestyles and expectations of our guests. 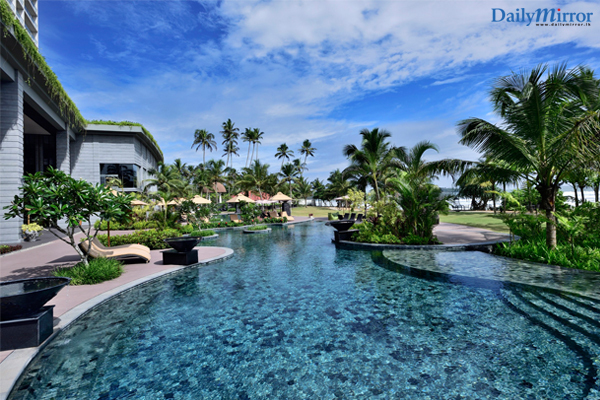 The resort offers a wide range of entertainment, dining and relaxation options that blend natural beauty and tranquillity with the highest standards of hospitality to create spectacular memories for our guests,” said Elton Hurtis, General Manager, Weligama Bay Marriott Resort & Spa. Guests have the option of dining at four specialty restaurants at the resort. The all-day dining restaurant, Weligama Kitchen spreads across different zones, each with an interactive live kitchen focused on a distinct cuisine that serves authentic local dishes and international flavors. Big Fish is a chef-driven restaurant offering gourmet seafood dining in a relaxed yet elegant setting; Tides is an integration of the Lobby and Lobby Lounge with a clearly defined bar which transitions from coffee and pastries during the day to cocktails and light bites in the evening; and Mirissa Baking Company provides freshly-baked desserts and snacks, accompanied by a selection of fine coffee, fresh juices and specialty drinks. The resort caters to families with young children by providing a large, indoor kid’s activity centre with fun-filled game zones and play areas. Adults can find refuge at the resort’s renowned Quan Spa which offers authentic Ayurvedic therapies alongside modern techniques to relax and revitalise the body and mind. The resort also provides a fitness center with three outdoor swimming pools for active guests. Located in close proximity to a wealth of enticing attractions including the historic 16th century Galle Fort and situated 144 km South of Colombo, the resort allows its guests to experience wonderful tropical sea-side activities while enjoying& partaking off Marriott’s renowned hospitality and culinary inventiveness.